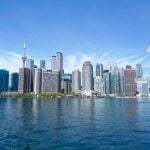 Think of Muskoka Ontario and the first images that come to mind are the region’s beautiful mirrored lakes, tall pine trees and waterfront cottages. But for food fans, there’s another reason to head north of Toronto. The region’s collection of luxury Muskoka resorts are well worth making Canada’s most star-studded cottage country part of your summer plans. Along with Algonquin Park, it’s one of the best tourist spots to visit in Canada if you want to experience the Canada’s wilderness. Executive Chef Glen Kitchen presides over the cuisine at Windermere House, a classic Muskoka resort, 2.5 hours north of Toronto on Lake Rosseau. While chef’s whites might seem an unusual sight against the iconic green backdrop of pine forest, this luxury Muskoka resort is as much about preserving cottage country traditions as it is about blazing culinary trails. For 2018, there’s even an in-house sushi chef crafting ultra fresh spicy salmon, golden dragon and california rolls. Windermere House features four dining options, including Muskoka’s oldest pub, founded in 1870. For me it offers the quintessential northern Canadian summer scenery of my childhood in Flin Flon, Manitoba — gnarled trees, Canadian Shield and endless days — minus the lumpy mattresses, musty Mad magazines and voracious horseflies. Sitting on the resort’s Victorian-style veranda and sipping a Summer Collins, a defty-mixed cocktail of gin, lemon juice and pink peppercorns topped with soda, it’s the perfect Muskoka cottage country atmosphere. For food fans, the menu at the Rosseau Grill (dishes can also be enjoyed on the verandah) features a wealth of locally-sourced ingredients in inventive dishes such as a Milford Bay smoked trout starter and fresh pickerel plucked from the waters of Northern Ontario and crusted with cornmeal and sumac. Vegetarians will be thrilled with the many options. You’ve got to get on the water to truly experience the spirit of the Muskoka Lakes. While a classic thing to do is take the Segwun steamship tour and gawk at digs owned by celebs like Goldie Hawn and Tom Hanks, my goal was to do some fishing. So we headed across the water to the J.W. Marriott The Rosseau Resort and Spa, a lakefront resort modelled on the Royal Muskoka Hotel, a 1901 landmark known for its high society clientele. 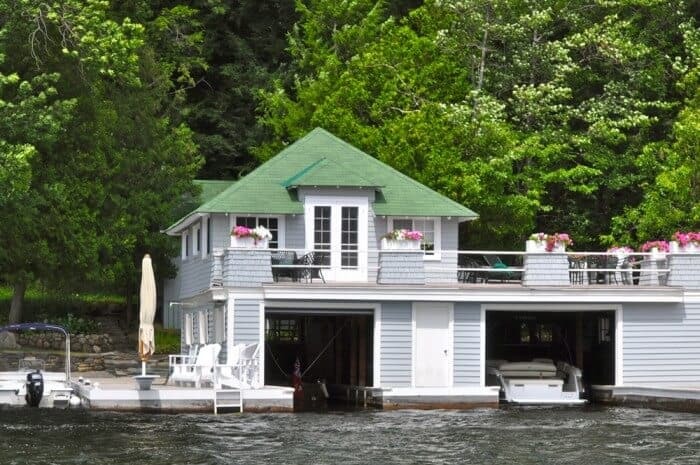 It’s also an ideal Muskoka family resort. You’re likely to see Lamborghinis in the driveway and plenty of million-dollar views, but the resort is also committed to providing authentic Muskoka experiences along with the glitz. “Sports-fishing is one of the best-kept secrets of the Muskokas,” explained our guide, who hails from Lake Nipissing, earning him instant street-cred. While I don’t catch one of the 4- foot long pikes reported to be in the waters of Lake Rosseau, bobbing on the waves was fine with me. For me, sports fishing has historically meant sitting in a leaky 14-foot aluminum boat. At the J.W. Marriott The Rosseau Resort and Spa fishing has been elevated to a luxury experience. I lounged on a white leather settee while a powerful engine got me back to the resort in time for my spa treatment. The Muskoka Spa Rosseau draws its inspiration from Muskoka’s rock, wind and water and I soon lost myself in a botanical infused facial that was relaxing as a calm day on the water. Don’t miss dining at Crossroads in Rosseau, helmed by Owners/Chefs, Julie and Richard Lalonde (Phone for reservations 705.732.4343). Not to be missed dishes include there hand-cut mushroom ravioli and of course, the Georgian Bay pickerel, pan-seared and served with a refreshing fennel salad. Our next stop was Touchstone Resort on Lake Muskoka. Built on the former site of Aston Beach Resort and Tamwood Lodge, Touchstone does the Grand Resort revival well. Soaring buildings hug the rocky granite landscape and haute décor includes skylights and sleek furnishings. Instead of doing a cannonball off the dock, I floated on my back in the infinity pool (Muskoka’s first) and looked up at the night sky through the top of a 100-year-old long needled pine. By the end of my 3-day luxury Muskoka getaway, I realized that modern Muskoka captures the essence of my northern cottage country memories perfectly. And one thing is certain. I don’t miss the muddy lake bottom or weeds grabbing at my toes one bit. 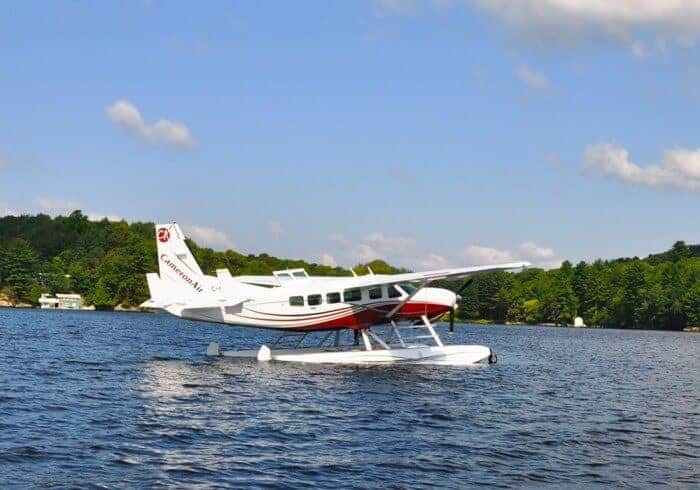 Getting to Muskoka: If you’re headed to Muskoka Lakes Ontario and want to avoid the traffic, Cameron Air Services offers float plane service on their fleet of Cessna planes to Muskoka, Georgian Bay and Temagami. 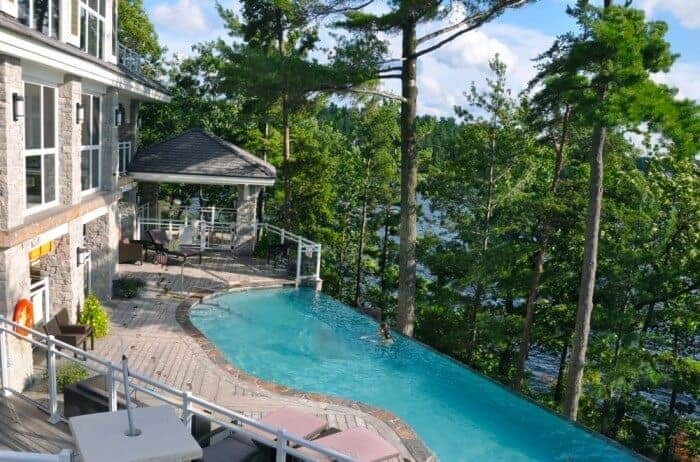 It’s not cheap but the scenic views of the Muskoka Lakes (and Toronto) are unforgettable. Getting to Muskoka by Car: A great base to begin a Muskoka vacation is Port Carling, located in the heart of cottage country along Highway 118 northwest of Gravenhurst. Known as the “Hamptons of the North”, Port Carling offers small town atmosphere with the cachet of the moneyed crowd. 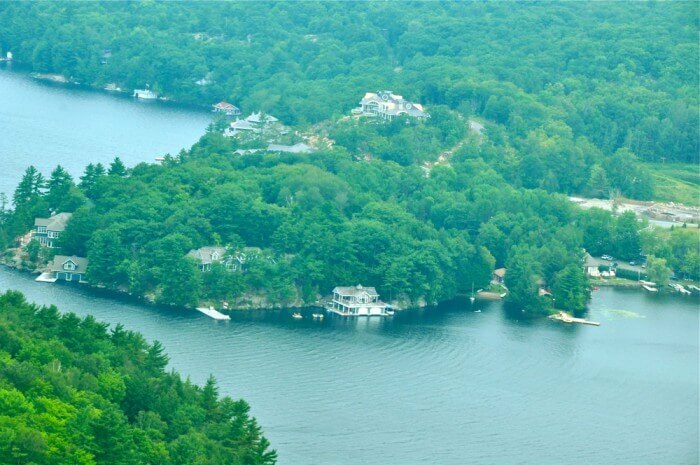 It’s not by accident that both the Lake Rosseau Circle Tour and the Lake Muskoka Circle Tour include Port Carling on their carefully chosen scenic drives. Pick up a Muskoka Driving Tour map at the Visitors Centre (1 800-267-9700; www.discovermuskoka.ca), Highway 11 north of Severn Bridge. 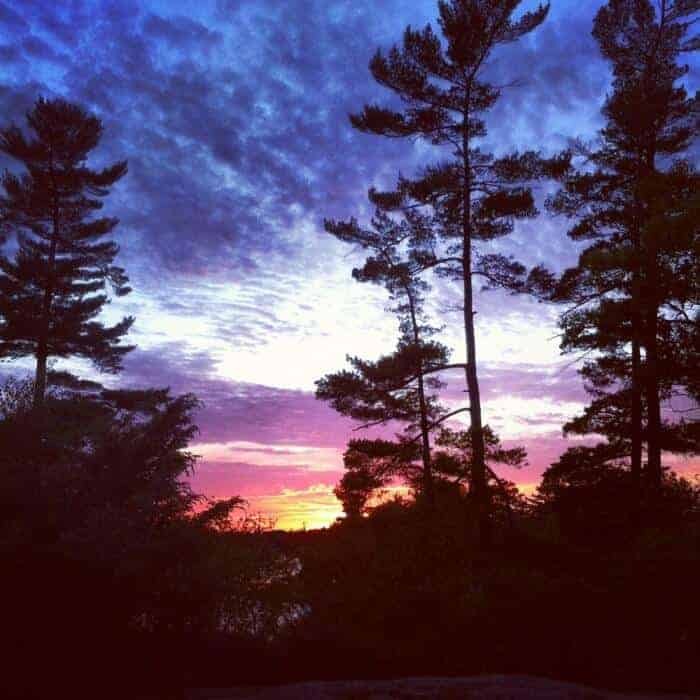 What to Pack: Unlike other cottage country areas of Ontario such as the Kawartha Lakes where dining out is as carefree as throwing on a cover-up and flip-flops, Muskoka resorts and restaurants are more upscale. Check out our Ultimate Guide to Men’s Summer Fashion Essentials for some style tips. 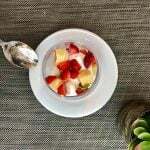 Your post beautifully set the stage for a mouth-watering story. I had never heard of Muskoka. It looks like a wonderful summer getaway! Hi Michele – Your description of a Canadian summer – lumpy mattresses, Mad Magazines, et al. – took me back immediately to my own childhood in Michigan, and later to time whiled away at my husband’s family’s cabin in Northern Minnesota. We love that a bit of sophistication is being added to the classic traditional whitefish and s’mores camping menus! Muskoka has so much appeal not only for the nostalgic, but the present. It’s no wonder that celebrities have appropriated a lakeside hideaway for themselves. How fabulous to have such a beautiful area so close to Toronto. 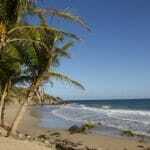 The hard decision would be to choose where to stay! I’m now intrigued and can see on that beautiful verandah, sipping a sumner Collins and deciding which restaurant to go for dinner! This updated classic summer resort looks like a perfect spot to relax and enjoy. That infinity pool looks so inviting and I’m sure the Summer Collins would help melt all your troubles away. One of the things I love about reading travel blogs is discovering places I’ve never heard of. Muskoka is new to me- clearly not to celebrity radar. Would love to visit! 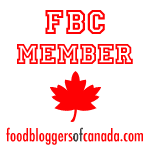 Lovely writing Michele – very evocative – I felt I was along rediscovering Canada with you. The setting and infinity pool at Touchstone resort is stunning! Much more appealing than wading in on muddy lake floor–always think I feel fish brushing against my legs. 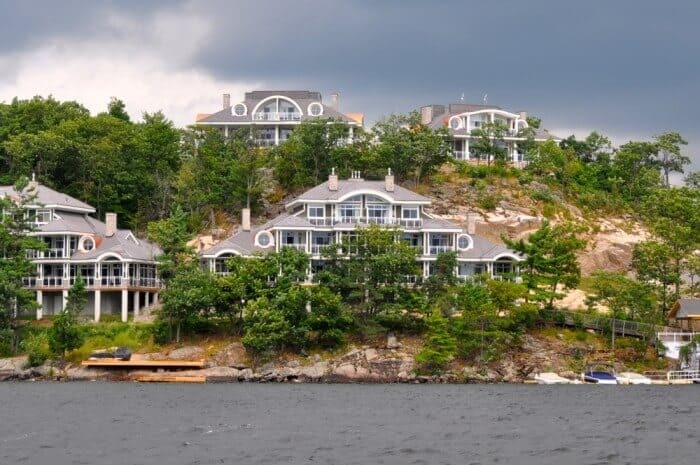 I would definitely be up for the northern Canadian summer experience at one of these gorgeous resorts in the ‘new’ Muskoka.